If you need to force a tape to be free when you’re using System Center Data Protection Manager you can use the PowerShell script ForceFree-Tape.ps1. The syntax of this command had me stuck for a while, so here’s a post to explain it. 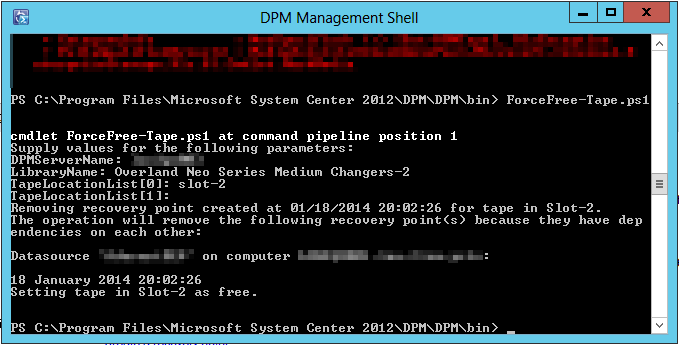 Run the DPM Management Shell as an administrator. Enter the DPM server name. Enter the library name. There’s no need to add speech marks for spaces in the name. Here’s the bit that got me stuck. Enter the location of the tape to be force free as slot-x, where x is the slot number of the tape you wish to erase. Press enter and repeat the process for multiple slots. When you’ve entered the location of the slots you wish to force free press Enter again. This entry was posted in System Center Data Protection Manager and tagged Microsoft, System Center Data Protection Manager on February 10, 2014 by richardstk. During the creation of a SharePoint 2013 Enterprise server to investigate PowerPivot I ran into an odd issue during the SQL Server 2012 SP1 configuration. Following the instructions here, I found that at the Instance Configuration step, the named instance screen was blank and un-editable, but installation failed to continue because I got the error “The Instance name is required but is missing.” Below is how the screen looked. 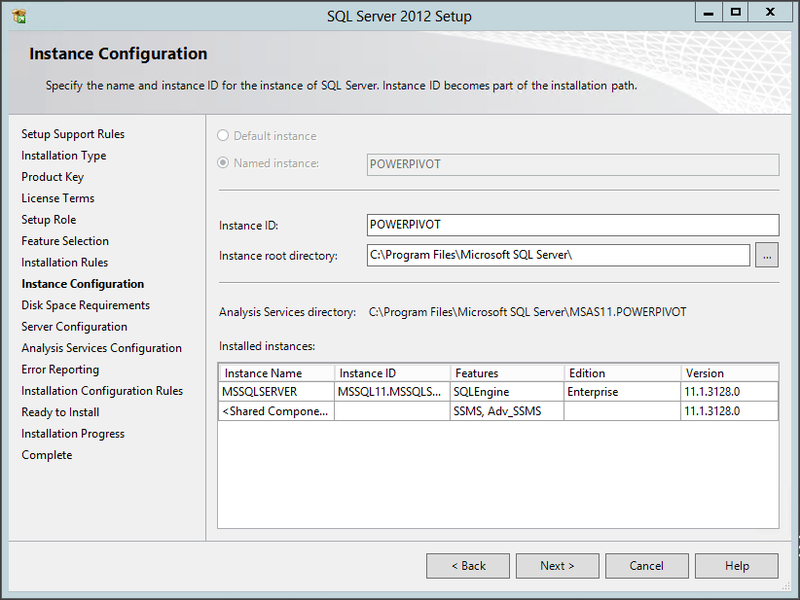 The fix was easy, right-click on the SQL Server setup.exe file and choose Run as Administrator. Oddly, I had to do this even that User Account Control was disabled on the server. The named instance was then correctly populated as shown below. This entry was posted in SharePoint on February 4, 2014 by richardstk.